Dovetail joinery insures a strong joint. 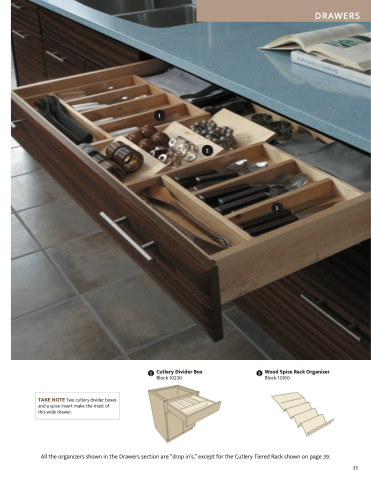 Glides extend fully so you can reach everything in the drawer. has a polished look when opened, and the glides don’t collect dust. Routes in the sides hold the bottom panel tight, so the drawer bottom is “captive,”not just stapled or glued. Glides extend fully so you can reach everything in the roll tray. a polished look when opened, and the glides don’t collect dust. Routes in the sides hold the bottom panel tight, so the tray bottom is “captive,”not just stapled or glued.